Double Lavender Pearl Earring. Affordable Double Cultured Mauve Freshwater Pearl on Sterling Silver with Hook – 30mm. 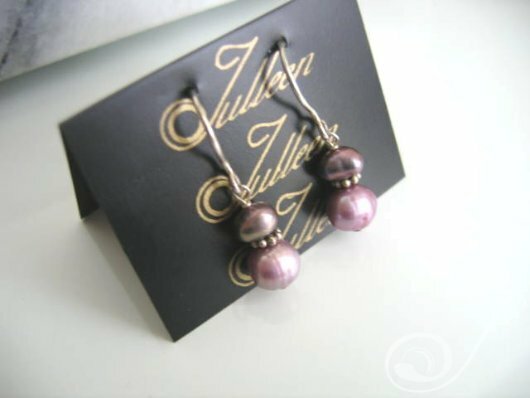 A sweet little double pearl earring in black pearl with purple hues and a lavender pearl, a really nice combination. Set on a sterling silver hook and spacers.